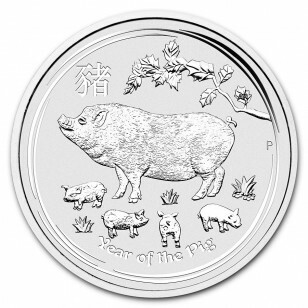 This coin celebrates the Year of the Pig, the twelfth animal in the 12-year cycle of the Chinese zodiac, and are the last coin in the Silver Lunar Series II.The Series has become an investor favorite, and this 2019 edition is sure to continue that tradition. 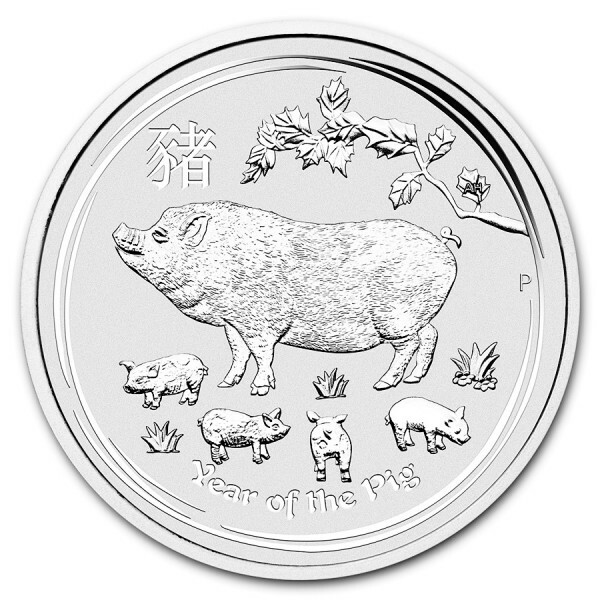 The birth dates for people born in the Lunar Year of the Pig include 1923, 1935, 1947, 1959, 1971, 1983, 1995, 2007 and 2019. Those born in these years are said to be honest, loyal, sincere and generous with a calm temperament. Comes in a protective plastic capsule. Multiples of 20 typically come in sealed rolls. Multiples of 20 come in sealed rolls. Multiples of 100 are packaged in a sealed box. 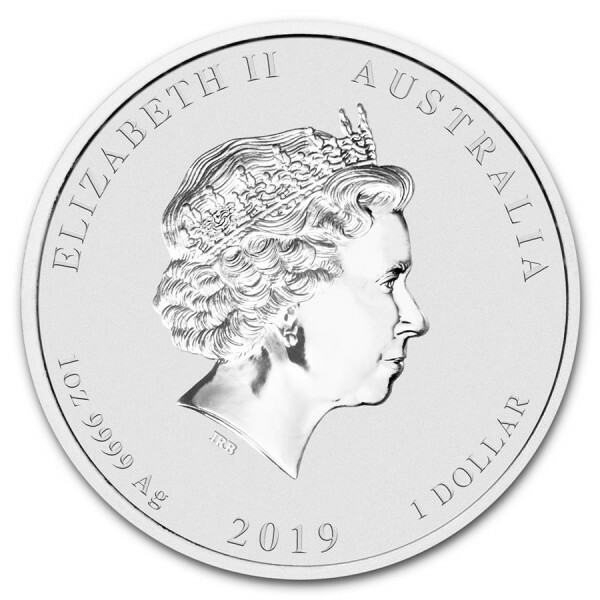 The coin comes in a capsule.